This is the view north. In the foreground is the Gonville and Caius Tree Court. In the middle of the photo is the Trinity College chapel and behind that the St John's College chapel. 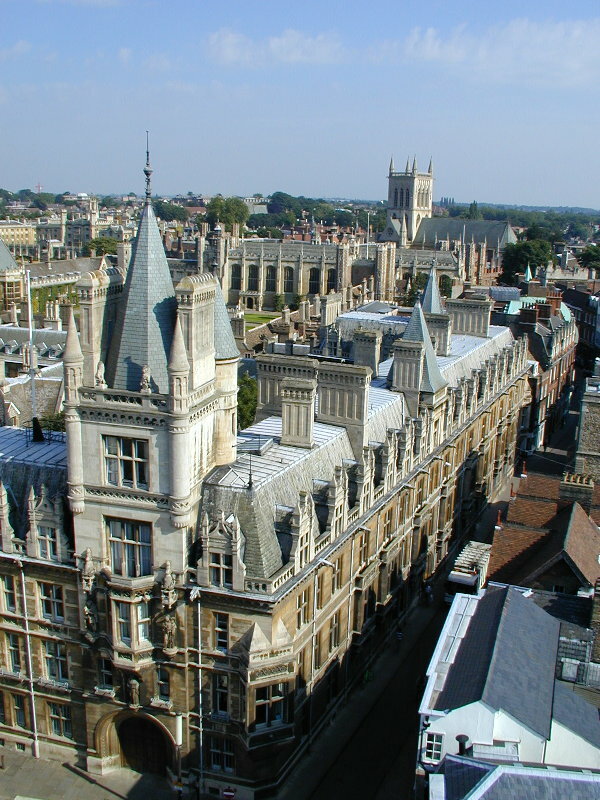 At the bottom right is the Cambridge University Press bookstore.